LaDeau manufactures Stainless Steel Piano Hinges using the same equipment and processes used to make the precision MS20257 Mil-Spec hinges trusted by aircraft manufacturers and the defense industry since 1946. 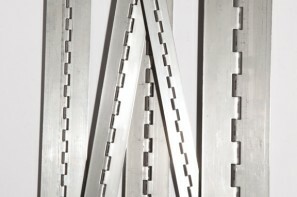 Also known as continuous hinges, these hinges are Made in USA from high-quality American-sourced 304 2B Stainless Steel. Additionally, these competitively-priced hinges are manufactured in an ISO 9001:2015 Certified facility yielding the highest quality metal-stamped piano hinge available on the market. 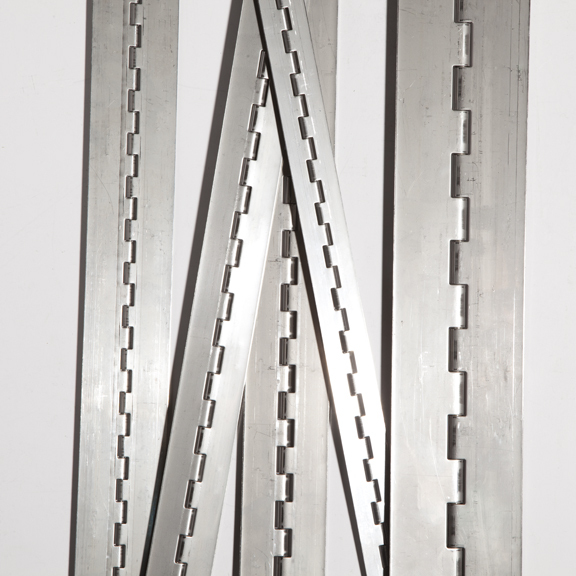 Stainless Steel piano hinges are offered in the many configurations below, as well as with any number of variation or customization. 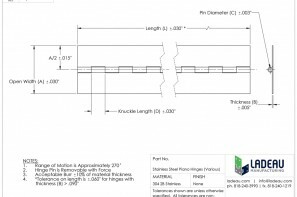 Custom lengths, widths, holes, forms, shapes, etc. are all available. These piano hinges feature a Mill finish, and a removeable pin by default, and pin retention is available. Give us a call, email, or click to request a quote or ask any questions you may have with one of our associates today!